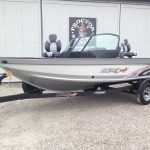 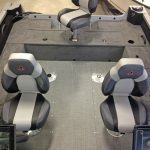 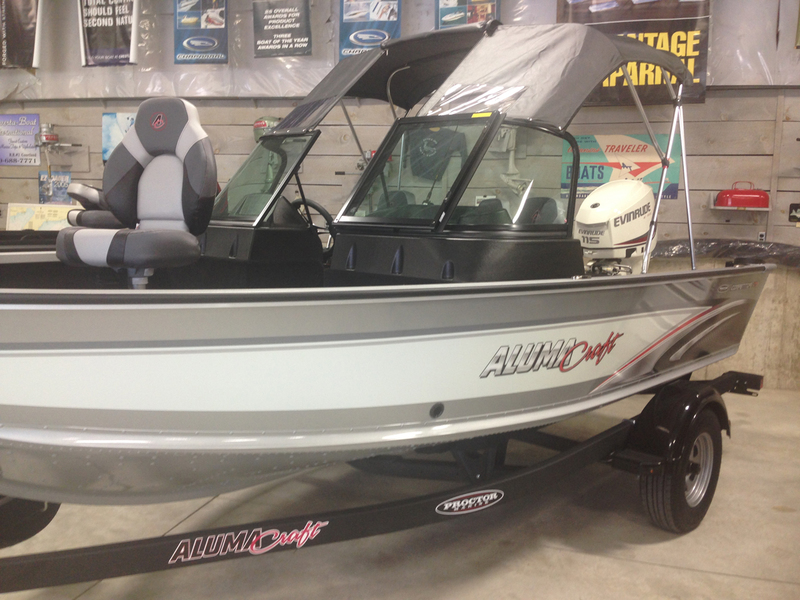 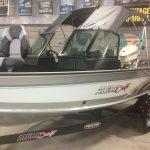 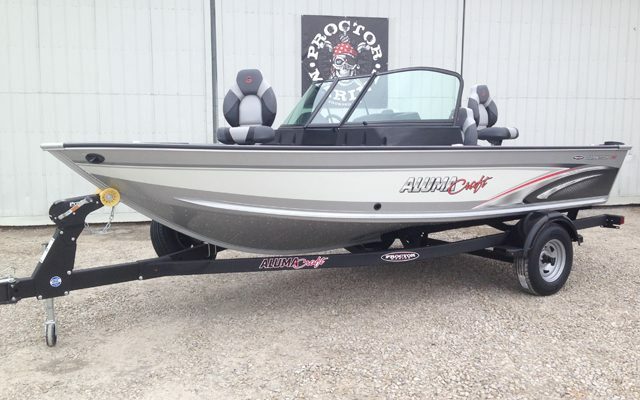 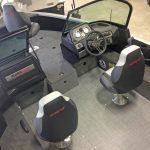 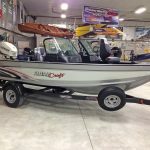 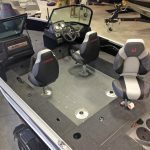 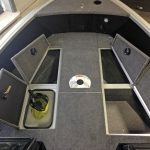 2019 AlumaCraft Competitor 175 Sport. 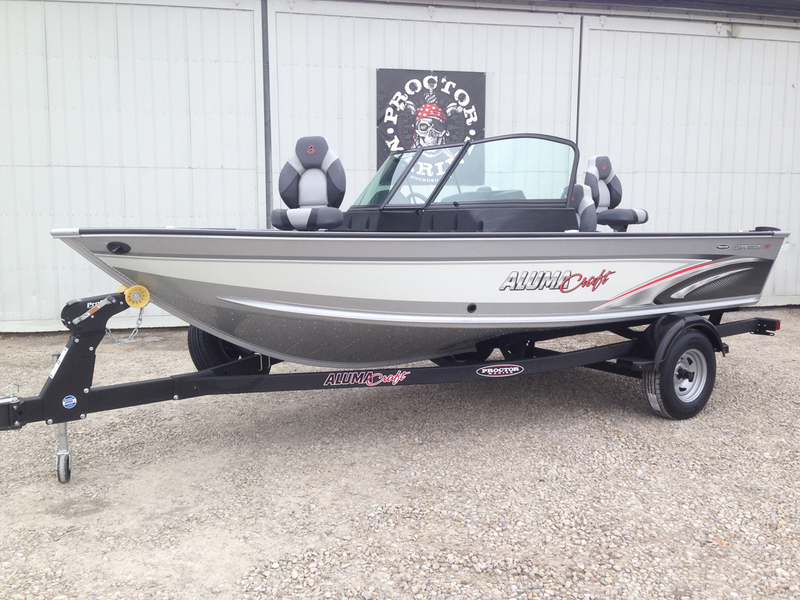 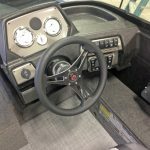 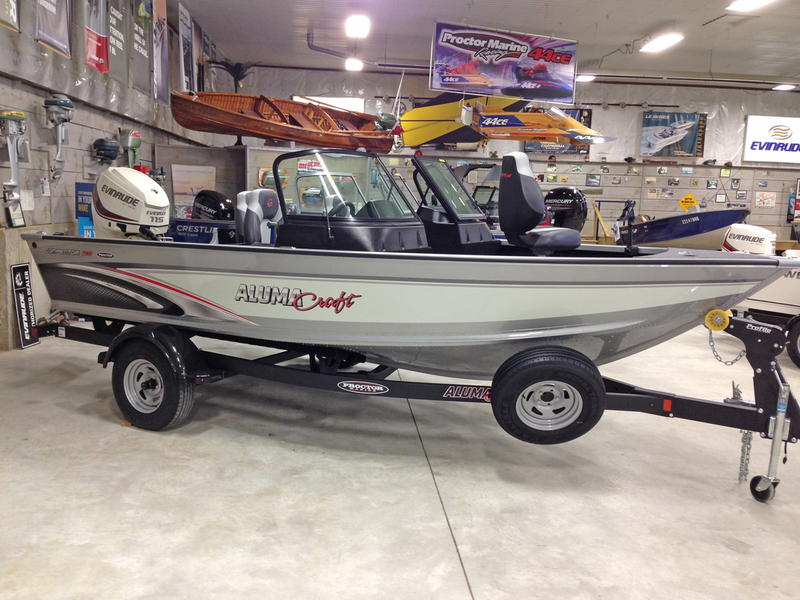 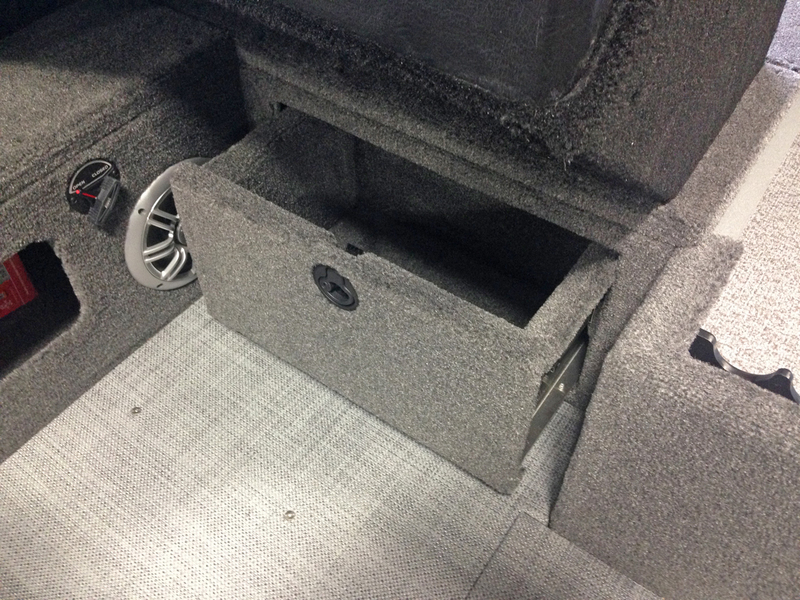 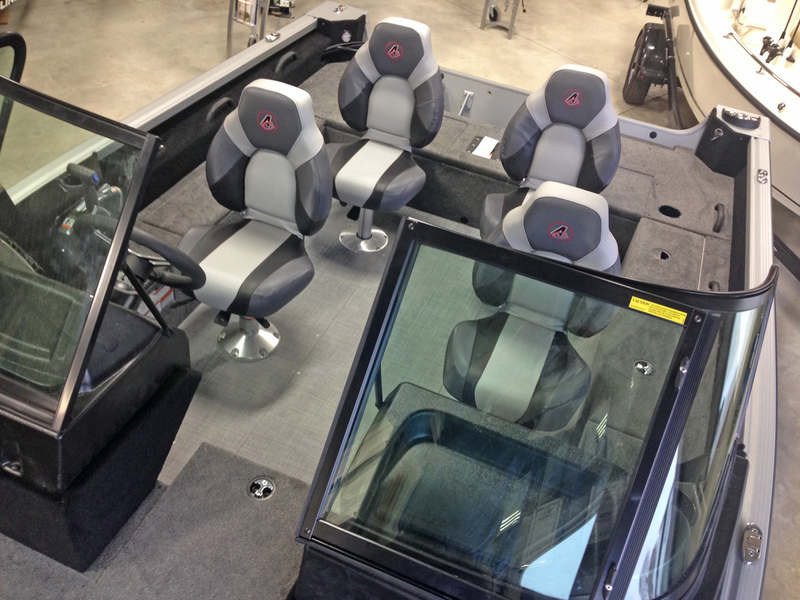 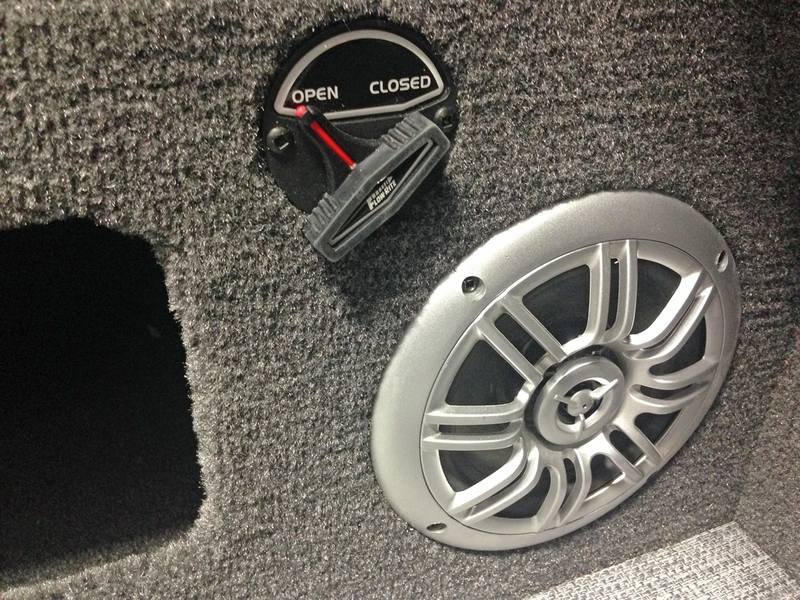 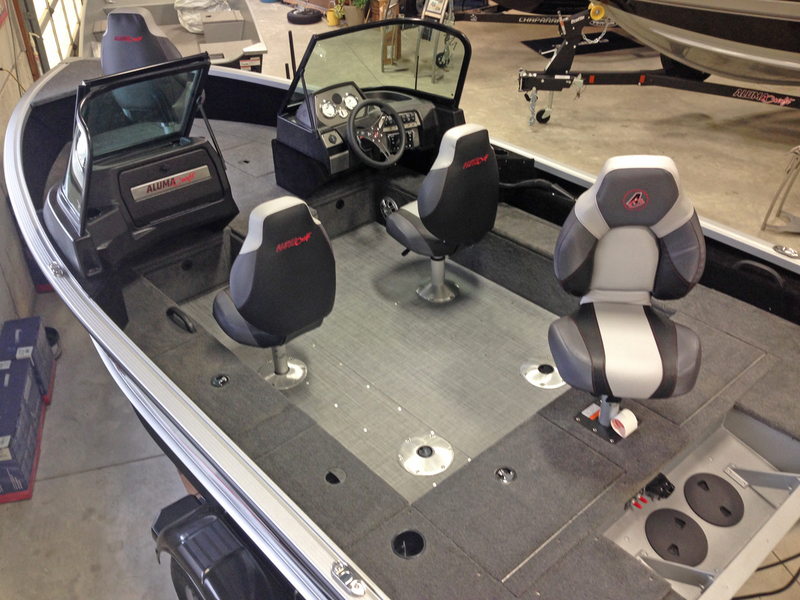 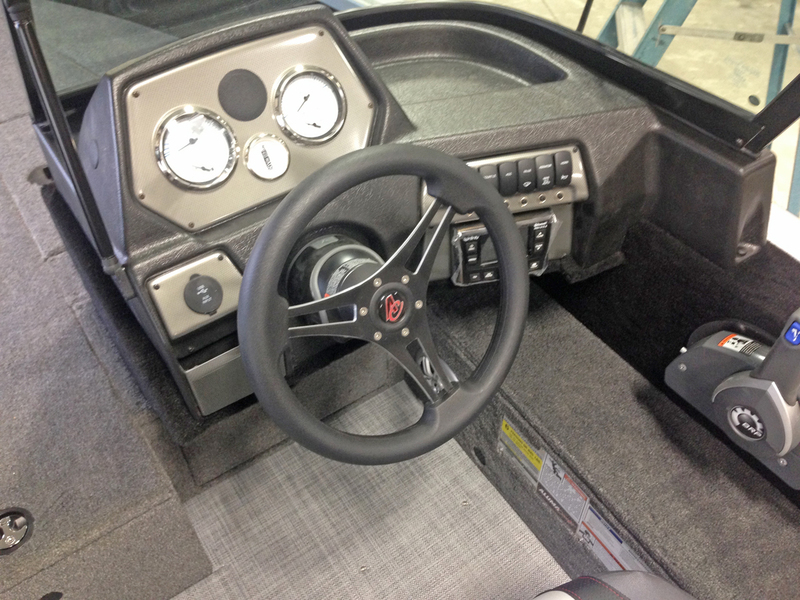 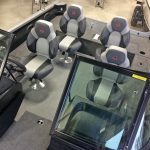 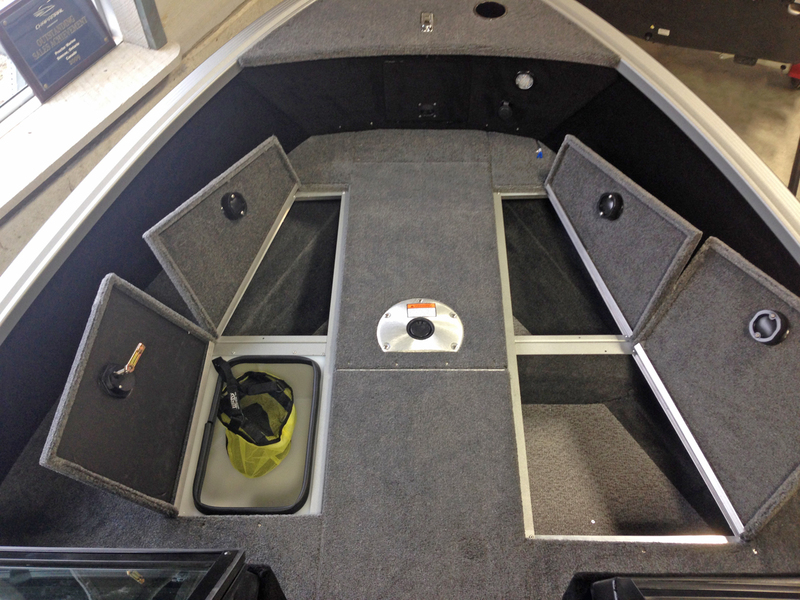 Powered by an Evinrude 115 hp E-Tec V-4 and packaged with a matching Shoreland’r bunk trailer. 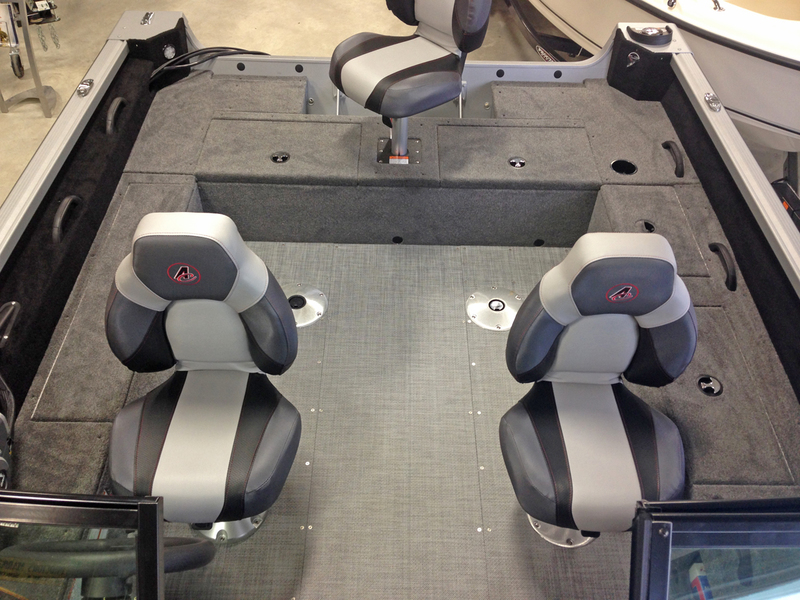 Reflex Silver and Olympic White with Gray interior. 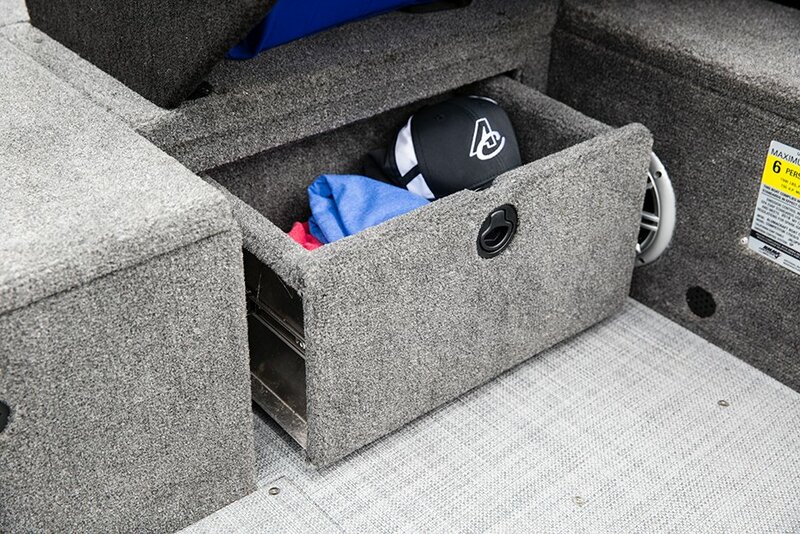 If you trailer your boat each weekend, the Competitor 175 might be the perfect size. 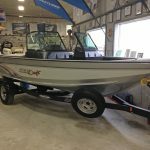 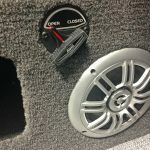 Big enough to comfortably fish 3 people yet easy to trailer the Competitor 175 can be towed effortlessly behind a mid sized SUV and will fit in most driveways and many garages. 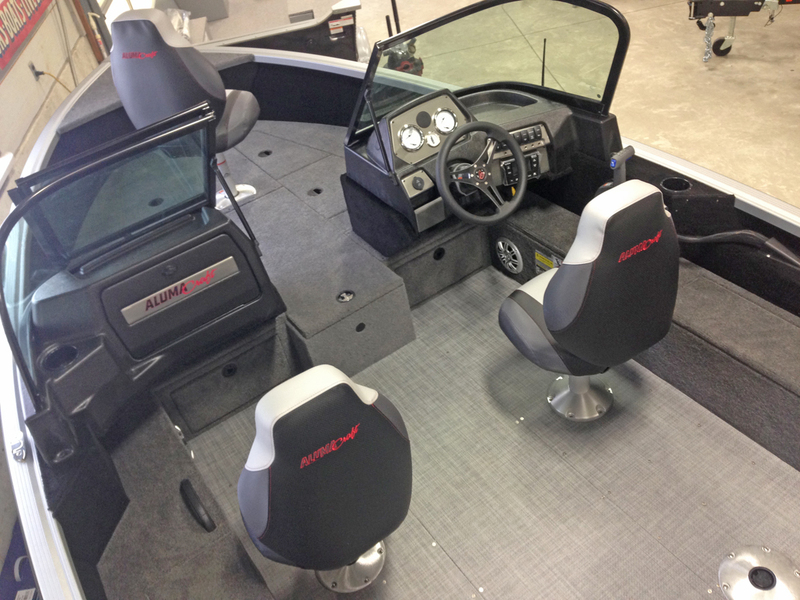 A 115 hp Evinrude E-Tec provides spirited performance while being efficient to operate. 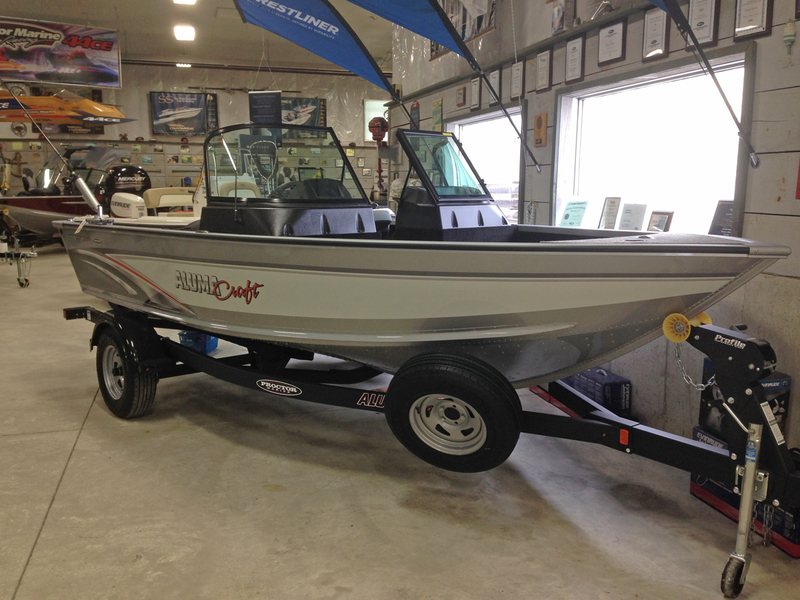 It can troll all morning or ski all afternoon, keeping the whole family involved. 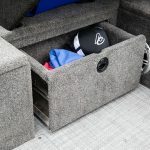 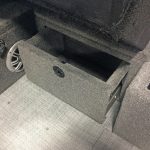 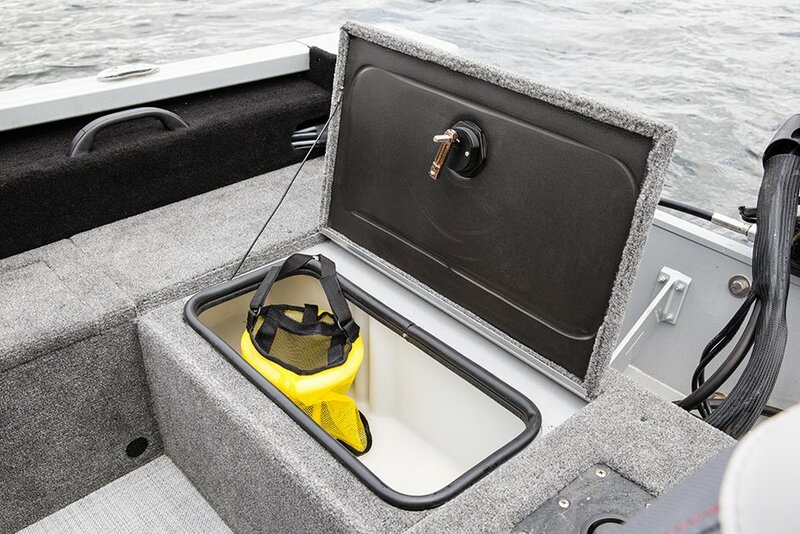 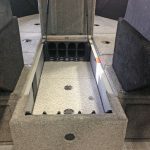 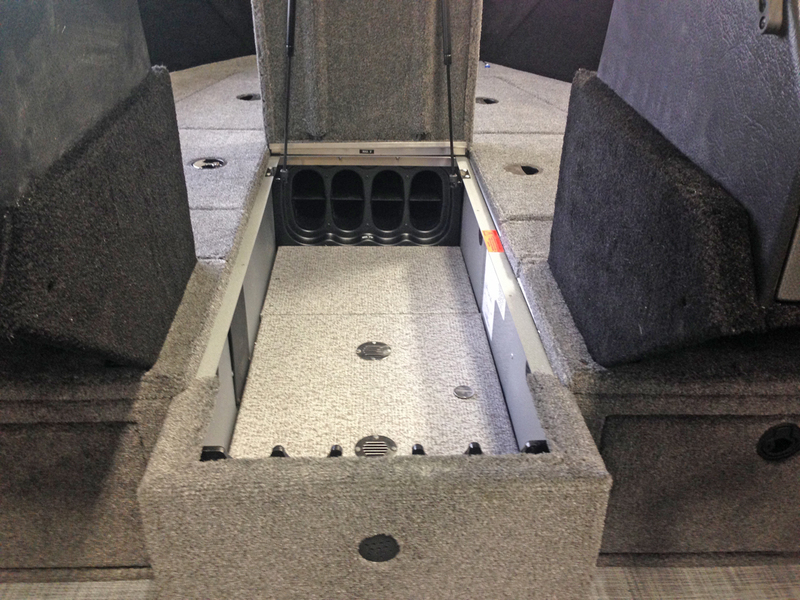 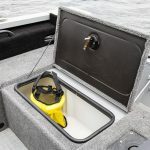 Standard equipment includes an Infinity AM/FM Bluetooth stereo, stainless steel telescopic swim ladder, two livewells and an impressive built-in rod storage locker that can handle rods up to 8′ in length.